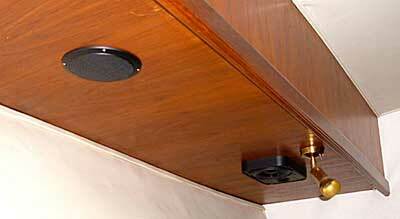 Rotted speakers were replaced with these Polyplanner three-way speakers. 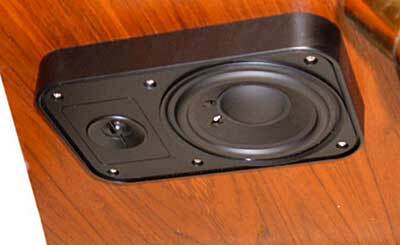 This is another view of the replaced speakers. The small disk is a remote speaker for the television. This is a nice touch since you do not have to have it very loud in order to hear the television. This also insures that guests in other rooms are not disturbed by the sound of late night TV! There are two- of the three-way speakers in this room and the one TV speaker.